Growing up in the Como Park neighborhood of St. Paul, Minnesota, Peter Deneen, was interested in figuring things out and getting everyone to work along side him. Luckily, one outlet for Peter’s creative energy was the Boy Scouts. And if there would have been a badge for pottery, he would have gone after it! 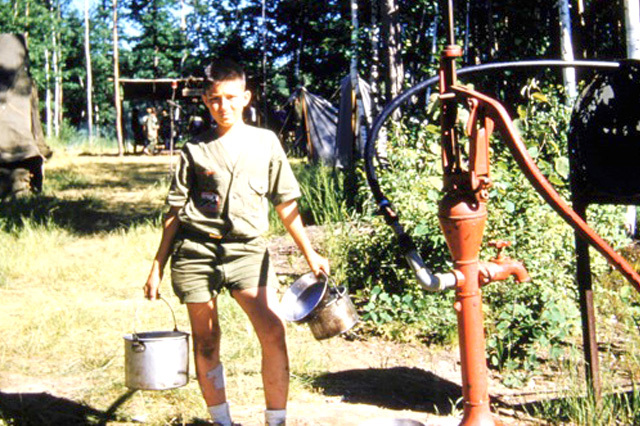 When reflecting on his scouting years, he likes to tell a particularly funny story (see below) about going on a snipe hunt during an overnight camp. Peter Deneen grew up going to an A-frame hunting shack where his dad taught him rifle safety and how to hunt small game, including snipe, a very small and tasty (according to Peter) bird. When his Scout Master announced, just after dark, that a “Snipe Hunt” was planned, Peter was very excited but that feeling quickly turned to confusion and disappointment when the leader handed out flash lights and burlap sacks – not rifles. At this point Peter knew they weren’t going to shoot any snipe, but he diligently followed the group through the woods anyway. Despite this obvious bait and switch, he continued on with scouting and eventually became an Eagle Scout – but it’s easy to believe that he never went on a second snipe hunt! Peter Deneen began his lifelong journey with ceramics while studying pottery at Luther College in Decorah, Iowa. During this period he also began attending Marguerite Wildenhain’s Pond Farm School (located in northern California) in 1968. Peter went on to earn his M.A. from the University of Iowa in 1971. 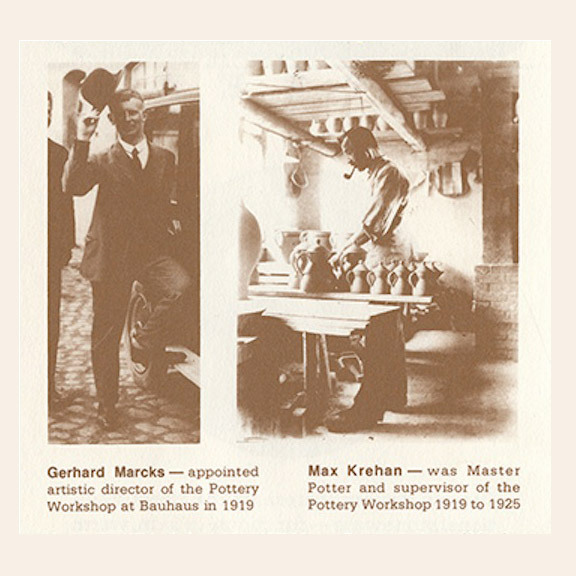 Pictured: Gerhard Marcks — appointed artistic director of the Pottery Workshop at Bauhaus in 1919. In 1972, Peter and Mary Deneen established their first studio and showroom at Park Square Court in the Lowertown neighborhood of St. Paul. Here they began producing hand thrown functional and decorative pottery and dinnerware. “Form follows function,” was embedded within their work through the teachings from Marguerite Wildenhain, recalling the Bauhaus lessons she learned from Gerhard Marcks. It was during this time that Mary started to produce more commemorative items and ceramic figures, while launching a “Bear Essentials” line. At this time, the Deneens wanted to open retail outlets similar to Pottery Barn, but make all of the products at their Lowertown studio. A favorite quote (of the current office) staff has Peter saying. “We’ll never be more than a handful of people. I’d never get larger than three stores,” says Peter.” “Don’t say ‘never,'” interjects Mary.” Wow, how the path has deviated from the plans made in 1974! $1000.00 Made In One Day, A Significant First! Peter and Mary kept busy all summer after that article came out, typically working 6-7 days a week producing wares in preparation for the Minnesota Renaissance Festival. 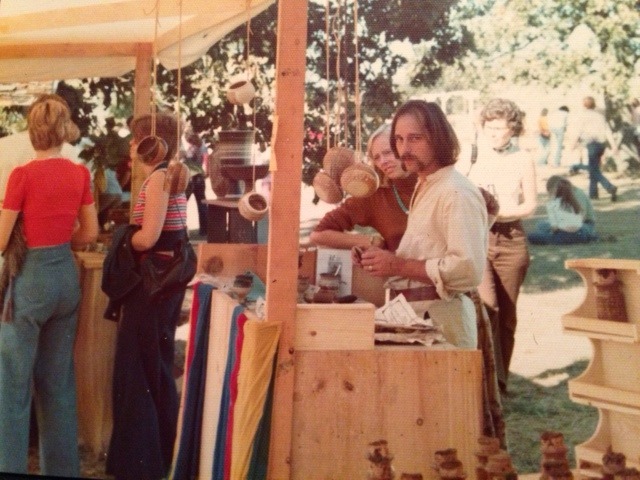 Although the primary focus of the business was on wholesale production, Deneen’s retail sales continued at the studio outlet store and annually, since 1973, at the Minnesota Renaissance Festival. 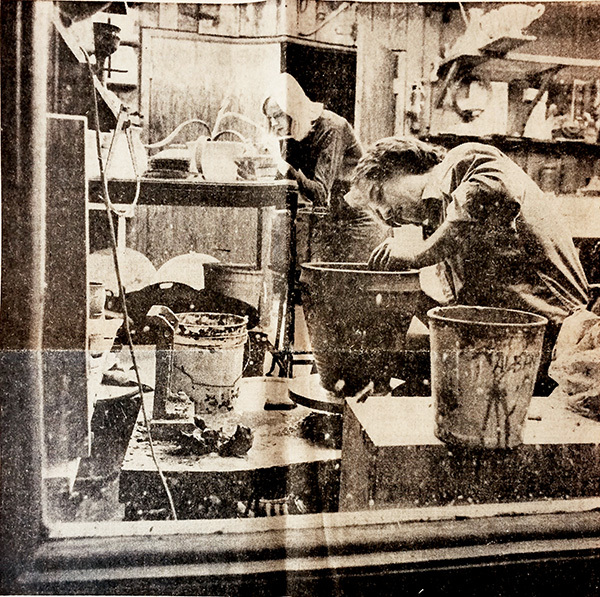 That year Peter opened a second retail store, “Cloth and Clay”, at Butler Square. 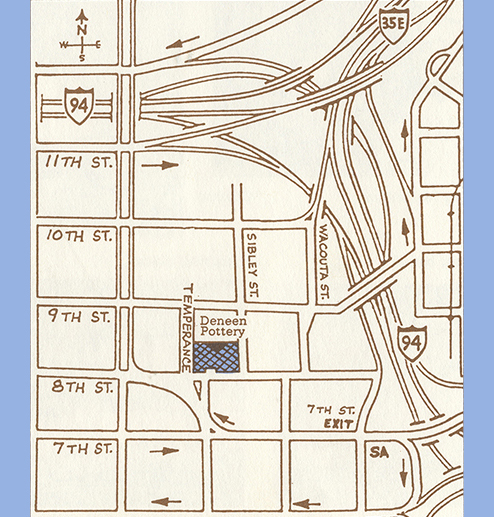 This downtown Minneapolis shop featured lines of candleware, bathware, Christmas ornaments, Northwoods pottery, and historical replica clay pipes – researched by David Christofferson. 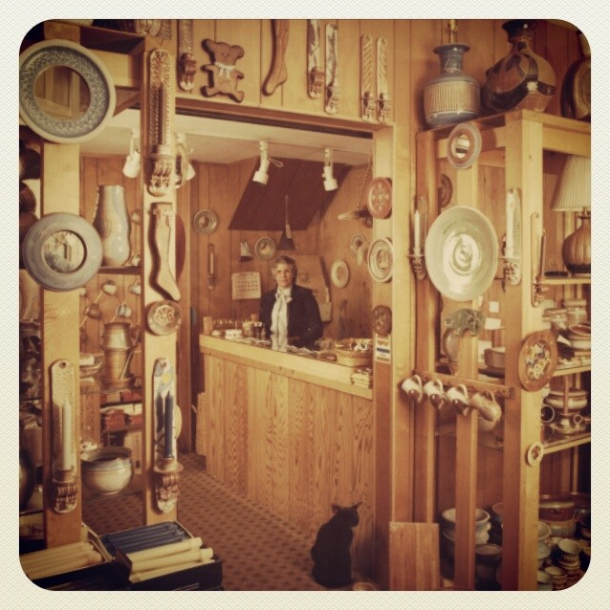 While doing his research, David brought one crazy and exciting idea to Peter that would forever change the focus of Deneen Pottery and is one of the reasons why we are a thriving business today. 1985 Glaze Engraving™ is Born! This innovative idea that David proposed to Peter was to reverse artwork in plaster molds and then pack clay into the mold, thus resulting in flat pieces of clay that would then be applied to mugs. David and Peter worked on their invention and named it Glaze Engraving™. The first order using this new process was for the Minnesota Renaissance Festival in 1985 – and over the following years, hundreds and thousands of pieces were made annually for this and other fairs. 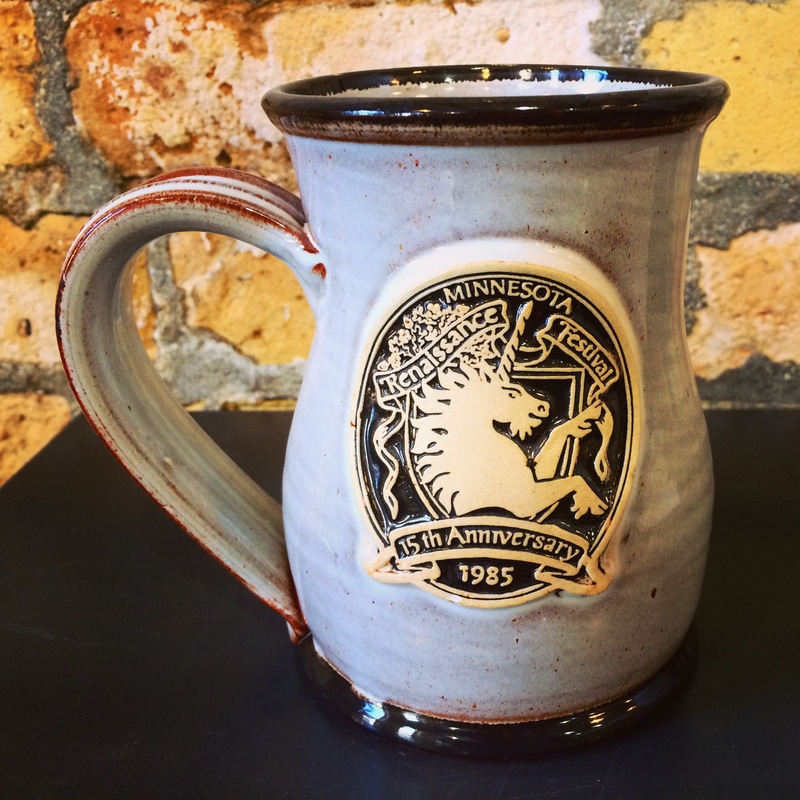 Deneen Pottery continued to push the boundaries of the Glaze Engraving™ process and began to feature multiple home good lines, resulting in massive orders from local powerhouse companies like Pillsbury, General Mills, and Land O’Lakes. 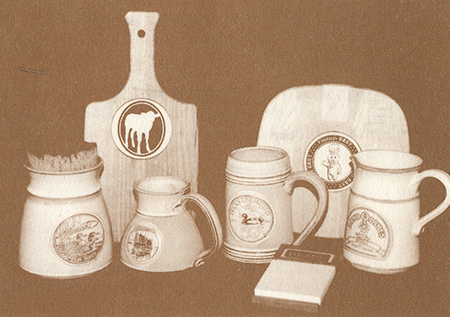 The company also filled bulk orders for other pottery businesses that would then sell Deneen goods alongside their own. 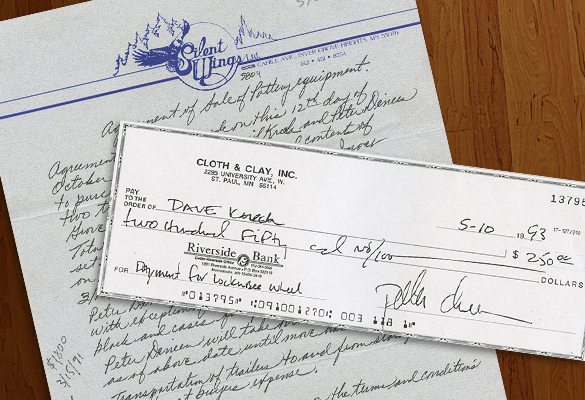 One of these pottery companies defaulted on a $50,000 payment in 1988 — only a couple of years after Peter made an expensive move into a new building. 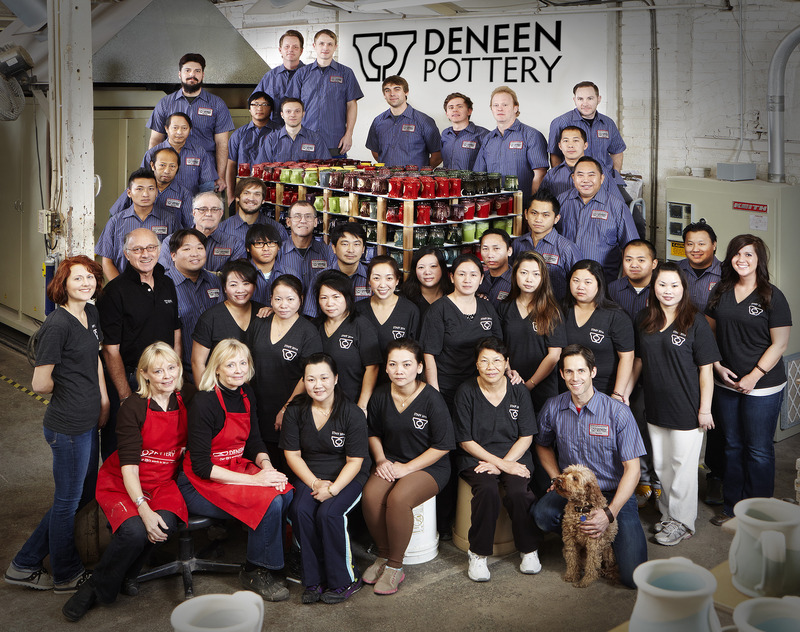 This unforeseen and unfortunate event sent Deneen Pottery into bankruptcy. “We didn’t have the cash to pay the rent or meet payroll,” Peter Deneen said. 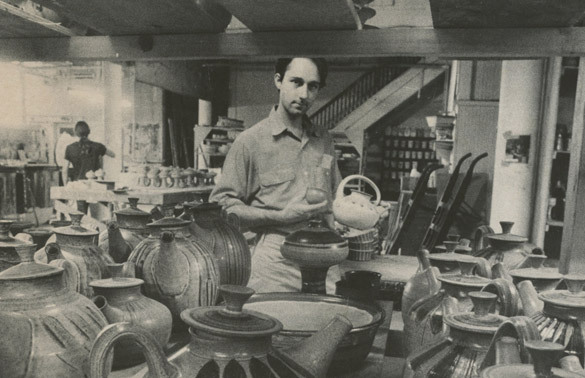 “We had just gotten that place rolling when they turned the lights out on us.” After Deneen Pottery was seized by the bank, its assets were sold. 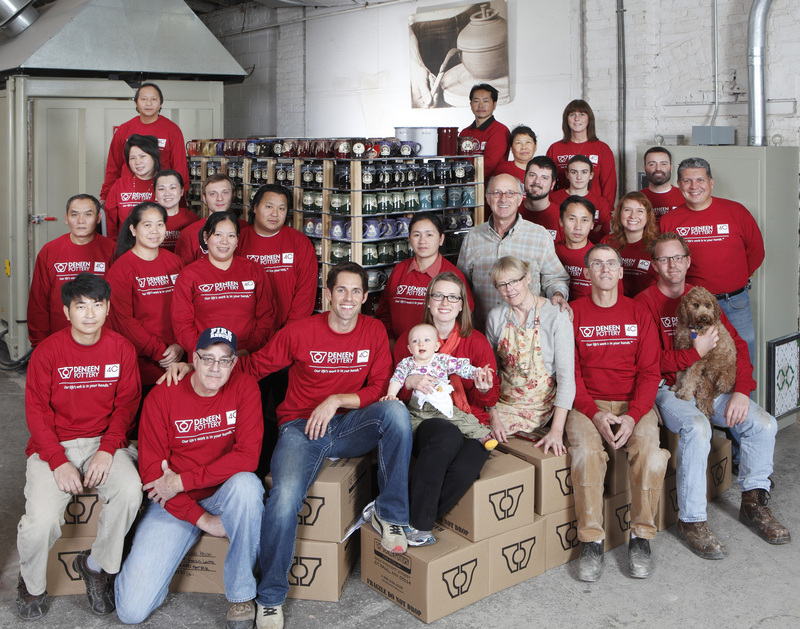 “Growing up in this family business, I realized there was a huge opportunity to tell OUR story of sacrifice, bankruptcy and our absolute LOVE for our craft.” This was also the first year that a staff photo had been taken, highlighting our amazing mugs and diverse talented staff. After five years of continued growth, Mary and Peter Deneen made the decision to transition part of Deneen Pottery to their son Niles. For many years leading up to this point, Peter often joked, “Niles is my succession plan.” Now this statement is no longer used to get a laugh, but rather emphasizes the importance of “family” in this thriving pottery business. 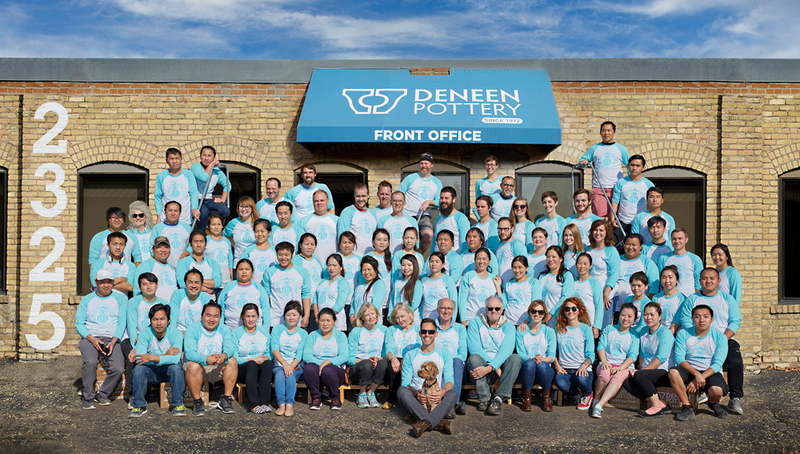 With more parks, museums and restaurants – along with our traditional base of B&Bs and Inns – ordering Deneen mugs, we expanded to over 50 staff members and increased our capacity to between 6,000 – 8,000 mugs produced a week. With retailers as far away as Alaska, Hawaii, and Puerto Rico, not to mention an Army base in Germany, we can safely say that Deneen mugs are now available throughout the world! We are still in St. Paul, occuping over 40,000 sq/ft and employing over 70 skilled craftspeople. 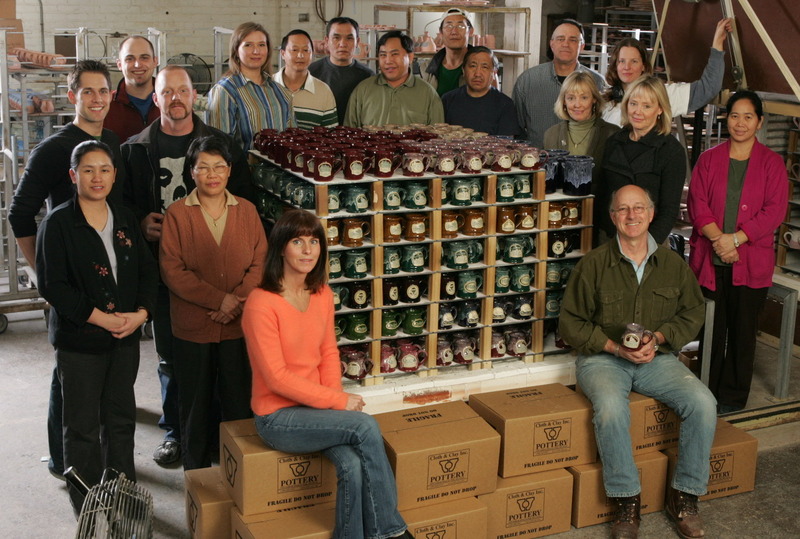 As a multigenerational family business established in 1972 by Peter and Mary Deneen – our goal remains unchanged: create functional, beautiful, hand-thrown stoneware for our clients. This journey has been remarkable and we truly feel fortunate to collaborate with businesses – both small and large, from coast to coast – through manufacturing handmade pottery mugs in the USA. Spring of 1972 Eco-Friendly Investment - Mugs are now fired by the sun! Deneen Pottery goes solar! Our rooftop 137 kW solar project is now generating energy and offsetting C02. Deneen Pottery has always been committed to conserving resources: we use starch biodegradable packing peanuts and recycled newsprint in our Shipping Department. We are also implementing an improved composting and recycling initiative in 2019. After all, we only have one earth and it’s vital we protect it!